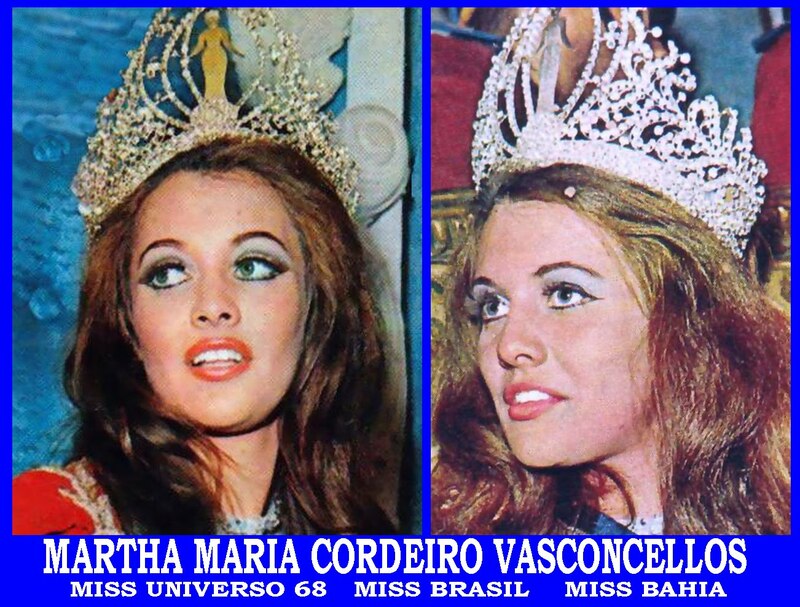 Martha Maria Cordeiro Vasconcellos (born June 18, 1948), is a Brazilian beauty queen who became her country's second Miss Universe winner, after Ieda Maria Vargas first achieved the feat in 1963. She also became the fifth Latin American to win the title, after Peru's Gladys Zender in 1957, Colombia's Luz Marina Zuluaga in 1958 and Argentina's Norma Nolan in 1962. 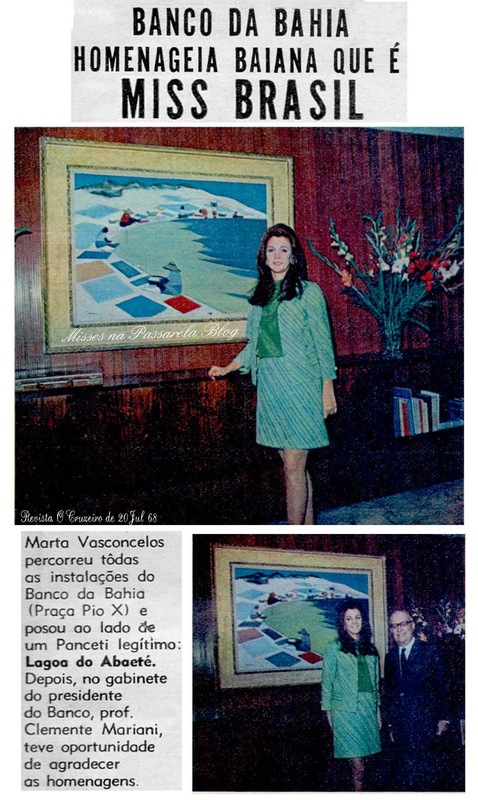 Vasconcellos is a native of the state of Bahia. 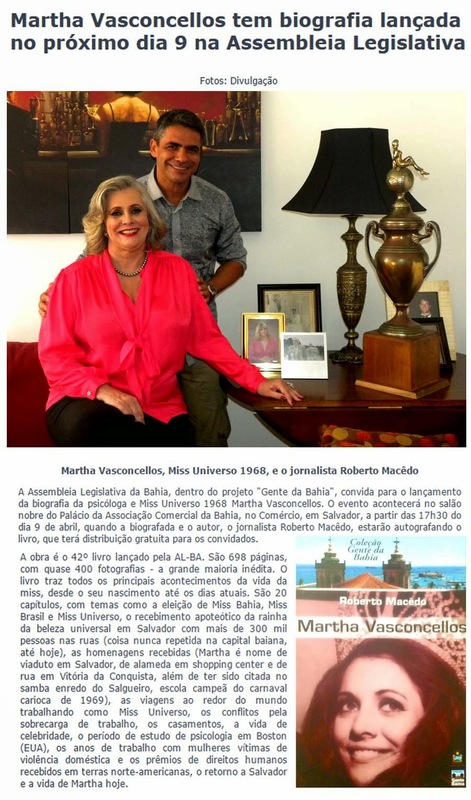 Vasconcellos allegedly had a boyfriend since she was twelve when she represented Brazil at the 1968 Miss Universe pageant in Miami Beach, Florida. She beat 64 contestants, including Curaçao's Anne Marie Braafheid (the first black woman to become first runner up in Miss Universe history), to win the title. The morning after her win, she called her family and boyfriend in Brazil, expressing feelings of being homesick. 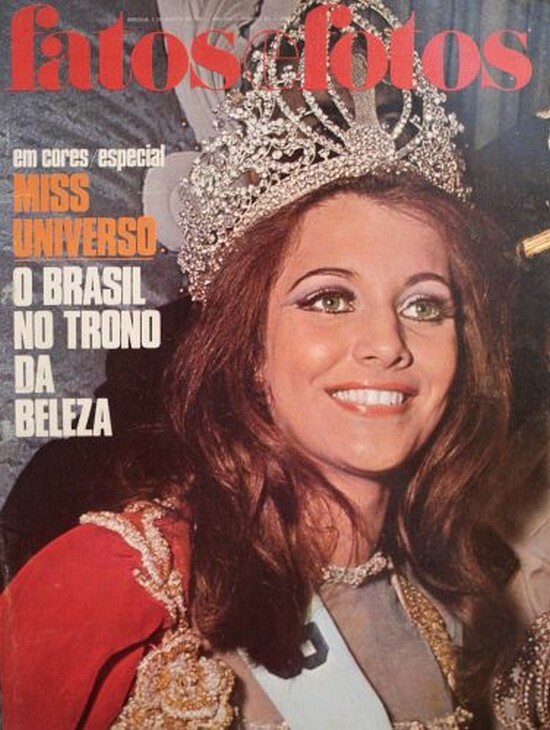 Vasconcellos lived in New York, New York for the next year, as required by the Miss Universe organization, then returned to Brazil in 1969 and married days after. Vasconcellos today leads a quiet and private life, practically disappearing from the public eye. 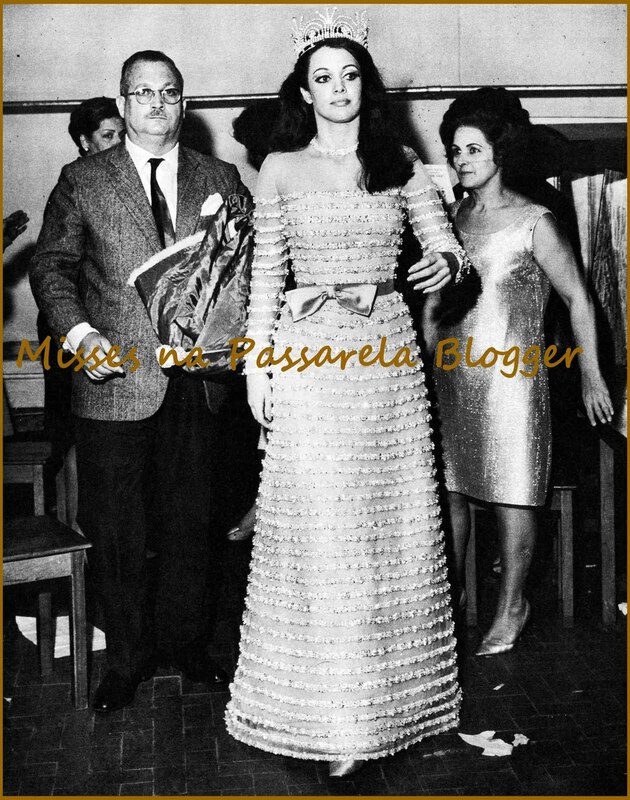 She has two children from her first wedding to Reinaldo Loureiro: Leonardo and Leilane, and has two grandsons, Felipe and Guilherme. 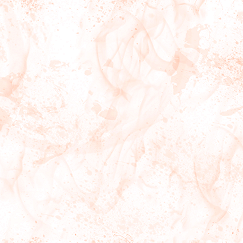 She currently resides in the Boston, Massachusetts area and works for a Portuguese-speaking organization as a victims rights counselor.